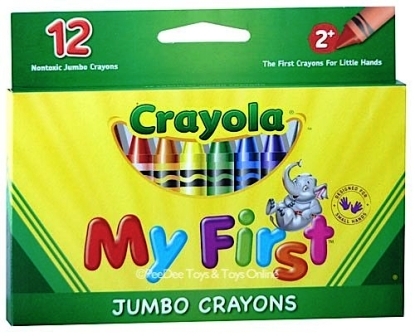 Crayola My First Crayons were specially designed to be your child's first crayon. Colouring is an important part of a child's creative development and these extra large crayons are designed to help teach motor skills, eye hand coordination and color recognition. The first crayons for little hands and a great activity while travelling.